Knowing how to buy your child’s first piano can be nerve-racking with all the choices available today. Also, this is a purchase that represents a major investment. 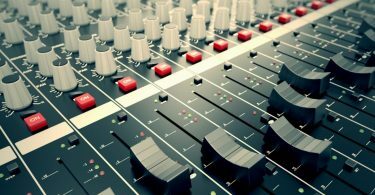 The instrument has changed over the centuries to include acoustic upright pianos, baby grands and modern digital pianos. And each has its benefits and drawbacks. When picking out a piano for your child, start by determining how much space you have for it. You’ll also need to how much you’re willing to pay and whether the instrument will travel. Traveling performers with pianos need smaller, lighter instruments. Also, consider the rate of depreciation. Many quality acoustic musical instruments last for decades when you properly maintain them. If you decide you don’t want a piano, it could be possible to sell it for nearly the same value. This list of the best pianos for children meant reviewing over 10 models across several brands and in several categories. Many children begin playing the piano at school or at church. Some use older models that aren’t in the best shape or are even out of tune. 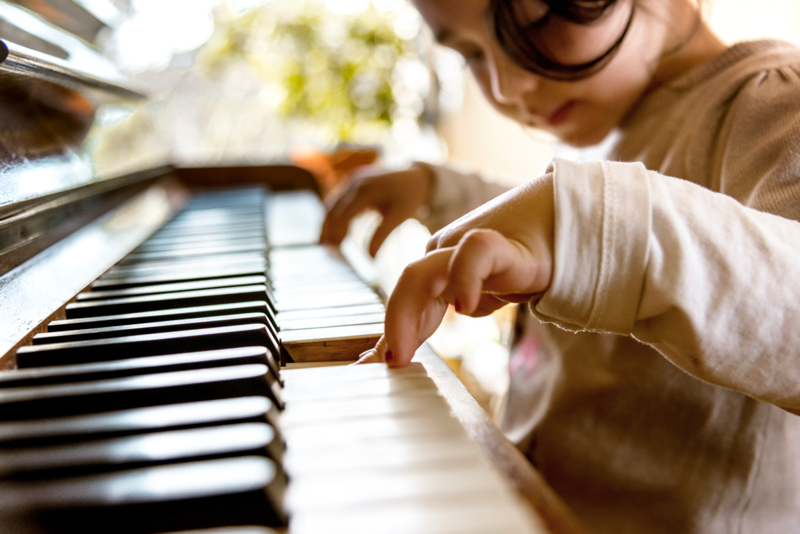 That’s why it is important to choose your child’s first piano by answering certain questions. Will your child need a portable piano they can carry on the bus to school? Does your family want a piano you can share together? What’s your budget and what about space constraints? Remember, children, and also adults, learn to play far easier on a piano in tune and in good condition, as well. What Works for Your Child’s First Piano? Grand Piano: This type of piano has horizontal strings and keys. When the player presses a key, the hammer strikes the string from below and gravity brings it back to a resting position. This makes repeated notes easier to play. Grand pianos often have their tops open for easy tuning and to deflect the sound to the audience when playing. Grand pianos take up a lot of floor space. For the smallest grand piano, you need at least a 5′ x 6′ area, including space for the bench. Grand pianos have a sleek, distinct look that can have a psychological effect on the player and the audience, and their size allows a sound that carries far. Upright Pianos: These pianos are smaller than grand pianos and the layout is slightly different. 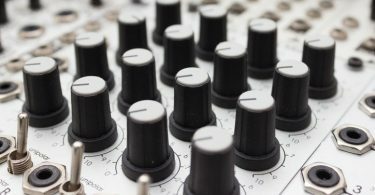 The soundboard and strings align vertically. This saves on space, but it allows less control for the player because keys have to return all the way to resting position before a repeated note can sound. However, they are more vulnerable to temperature fluctuations. Digital Keyboards: This type of instrument differs significantly from standard pianos. Rather than striking a string, the key triggers a digital sample of the note the musician plays. 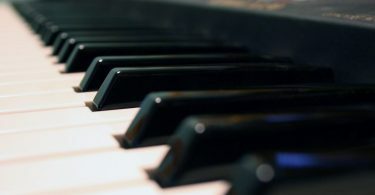 Many digital keyboards provide the option to simulate different instruments. Players can also plug headphones into an audio jack and practice without disturbing their neighbors. But, digital sound cannot match an actual instrument for authentic sound quality. Buying a new piano can cost over $3,500, but you have a guarantee of its quality. Aside from defective workmanship, a new piano will ensure you that the strings, keys, cabinetry and action are in good working order. It will need tuning a couple of weeks after you get it home, though. Before you buy your child’s first piano, have a registered technician check it out before finalizing the purchase. Prepare to set an appointment about three weeks in advance. Factor in the moving costs, which can range from $100 to $500, depending on the size. Used pianos, on the other hand, can be more affordable. As with new pianos, strongly consider setting an appointment with a registered technician to check it out. Bear in mind, with used pianos you get what you pay for. The inner workings may be broken or need re-tuning badly. If the piano requires extensive repairs, it could reach or exceed the cost of buying a new model. The voice of a piano is the sound it makes from the string vibrations resonating off the soundboard. It can be a deep, rich tone or a thin, bright sound, or somewhere in between. 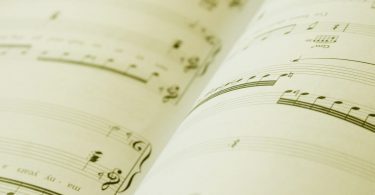 Play the same passage on different instruments to get a feel for the piano’s voice and see whether it works for the type of music you or your child plays. Experimenting with piano voices can help you determine which is the best child’s first piano for your family. 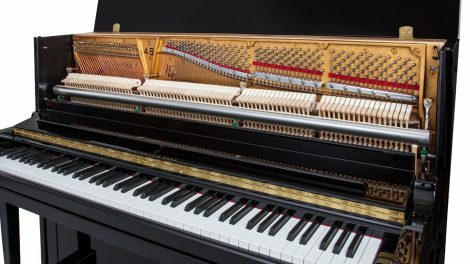 No two pianos, unless they are factory-made versions of the same model, have the same voice. Even wear and tear can alter a piano’s voice. Also, the felt can wear away from the hammers, brightening the sound. The hammers can also drift out of alignment and not strike the strings properly. 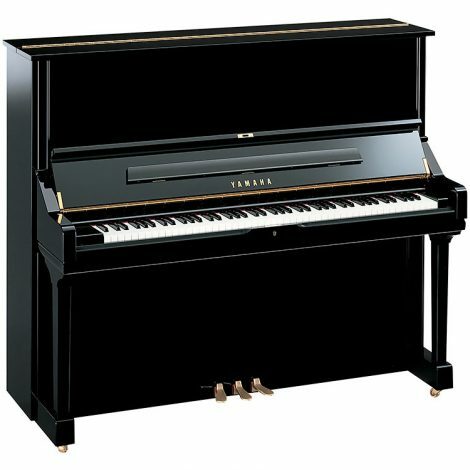 Based on our research and my personal experience, the tried and true Yamaha U3 piano is a great choice for many styles of piano playing. It has a solid middle-of-the-road performance. 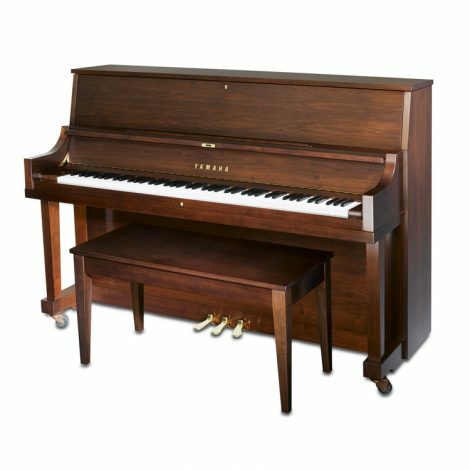 The Yamaha U3 upright piano is 52″ tall, providing ample room for a soundboard and bass strings that provide mellow tones rivaling a baby grand piano. The Yamaha U3 has longer keys, allowing more control over the sound and more response from the keys. Younger children often have not developed the finger strength and control to deal with less responsive key action. The piano has the full range of 88 keys and a 60-inch width, allowing plenty of space for sheet music. The Yamaha U3 comes in a variety of wood finishes including ebony, American walnut and mahogany. This works well because a piano isn’t just a musical instrument – it’s a part of your home décor, so it needs to match. The multiple options work with a dark or bright room. Material-wise, Yamaha U3 pianos consist of spruce and hard maple for the wood components. Spruce is a light wood, but strong and perfect for the keys and soundboard. Hard maple is the primary material for the pin block. Maple is a sturdy material for pianos because it is resistant to fluctuations in humidity that can loosen the tuning pins. Yamaha uses aluminum for the action rails rather than wood to maintain the same touch control in different climates. The Yamaha U3 receives seasoning for the United States climate, which changes between extremely humid and extremely dry depending on geography and time of year. The main drawback of the Yamaha U3 is, depending on where you are, the sound might be too loud for convenient, normal practice. This might limit practice to only set hours of the day to avoid disturbing neighbors or other members of your household. Your child’s first piano shouldn’t be a bone of contention for your family when it comes time to practice. Although the Yamaha U3 costs more than some of the other pianos listed here, it has the most versatile range of voices and tones. It also offers the best control. 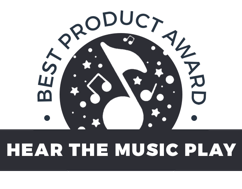 The U3 is the top pick for the best all-around piano. It’s a durable choice that can last for generations, as well. If you’d rather go the digital route for your child’s first piano, then choose the Yamaha U3, look at the Kawai CE220. It comes close for a digital piano to mimicking the feel and sound of an analog instrument. 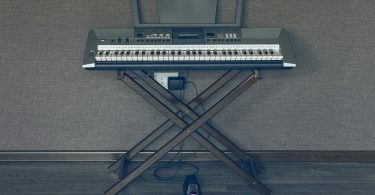 Not only does it boast a full-size keyboard, they also weighted the keys for a realistic piano feel. The lower register feels heavier and the upper register feels lighter, like an acoustic piano. Also, the wooden keys add to the authentic texturing and grip. On the digital side of things, the Kawai CE220 boasts two headphone jacks, which makes it perfect for quiet duet practice. The “4 Hands Mode” keyboard function allows the keyboard to split into two identical 44-note keyboards for same-register duet practicing. Also, the 192-note polyphony provides ample support for multiple melodies. The built-in drum samples and instrument sounds add to the versatility of the Kawai CE220. The digital features of the Kawai CE220 can create a stiff learning curve. In addition to that, they placed some of the buttons in awkward spots. If you can get around these issues, the Kawai CE220 makes for a budget-friendly alternative to the Yamaha U3. If space is at a premium in your house, consider the Yamaha P71 digital piano. It has a full-size keyboard and a sustain pedal to make notes ring longer. The weighted keys do an excellent job at simulating the feel of an acoustic upright or grand piano by using the Yamaha Graded Hammer Standard. 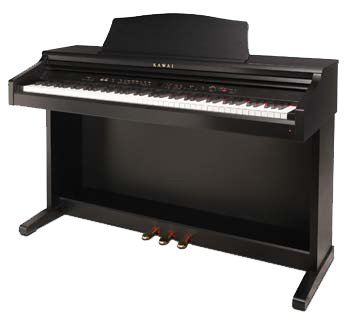 With 10 different voices, the P71 gives players the sound of several other pianos. An X-brace stand comes with this digital piano. Some pianists prefer a parallel brace, even though they can fold an X-brace for transport. Also, the X-brace is uncomfortable for players with longer legs or for fidgety children. The sounds for the piano are crisp, but the quality suffers at higher registers, sounding a bit too bright. This is a good child’s first piano because the digital keyboard is helpful for testing the waters and also having fun playing an instrument. It isn’t a full-sized keyboard because it only has 61 keys instead of 88. However, the Flexzion Portable Keyboard makes up for that with a repertoire of 100 synthesized instruments, eight drum preset patterns and 10 demo songs. The Flexzion isn’t as famous as some of the pianos on this list, but you should be able to find it for a low price. 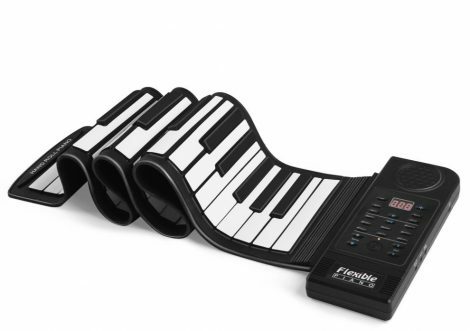 This portable piano can help your child get a feel for making music before transitioning to a full piano. The downside is that they didn’t use weighted keys. You’re your child is ready to transition to weighted piano, they may have trouble adjusting to using more force on the keys. But for a quick starter instrument, this keyboard is a smart choice. You can’t go wrong with a Steinway if you want a deep, rich tone quality. After all, the company has been in business for more than 150 years. The Steinway 1098 consists of birch and maple, giving it the stability and strength for better tuning. It is 46.5 inches in height, which is shorter than the Yamaha U3. But it compensates for that with a soundboard of varying thicknesses that reflects sound from the middle keys. The Sitka spruce they used for the soundboard makes it more durable and stable than other woods would do. The six-layer construction of the hard rock maple pin block provides excellent holding capability for the tuning pegs. While Steinway models, especially the 1098, cost more than other brands, you are guaranteed the highest quality. The Yamaha P22 is a popular child’s first piano, so you’ll see it often in school music rooms and studios because it rugged. So, it can stand up to the occasional bumps and knocks. The P22 is a good height for children at approximately 48 inches tall. It is also light enough for you to move it frequently and easily. It can fit on caster rollers that won’t damage floors, too. The piano’s footprint is only 10 square feet, so it fits well in small or cramped spaces. 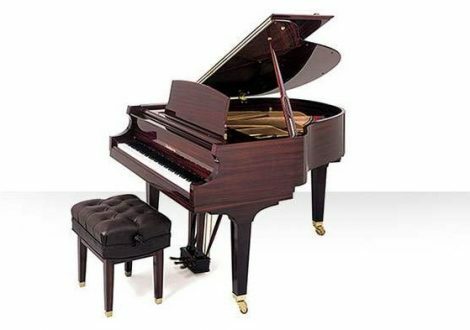 Although it’s not a universal truth that grands or baby grands are superior to uprights, there’s no denying the richness of tone that comes from a quality baby grand piano like the Baldwin M1. At only 62 inches, it is one of the smallest baby grands you’ll find. Its consistent tone comes from the solid molded maple in its rim and spruce soundboard. You can get more tone control with the Baldwin by using the three pedals: soft, sostenuto and sustain. The sostenuto pedal allows players to keep specific notes from fading. This is a feature you’ll rarely see on upright pianos. The Baldwin M1 also has a pneumatic closing lid so if the rod somehow slips, the lid doesn’t come crashing down, damaging the wood or even smashing someone’s fingers. Hopefully, this list has provided you with some helpful insights on how to buy your child’s first piano. 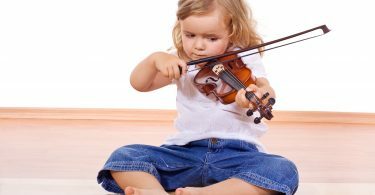 The gift of music is wonderful for your child and it will bring you much joy, too. So, enjoy the journey of learning to play the piano alongside your child. Who knows – maybe you’ll learn how to play, too.